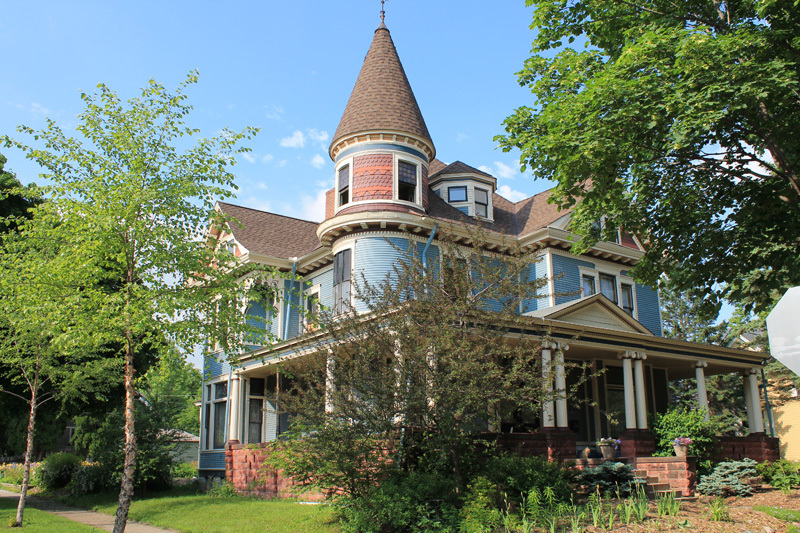 If you make your way one block south and two blocks west of the Grady Flats, you will be at the Eugene and Christina Villaume House on 123 West Isabel. 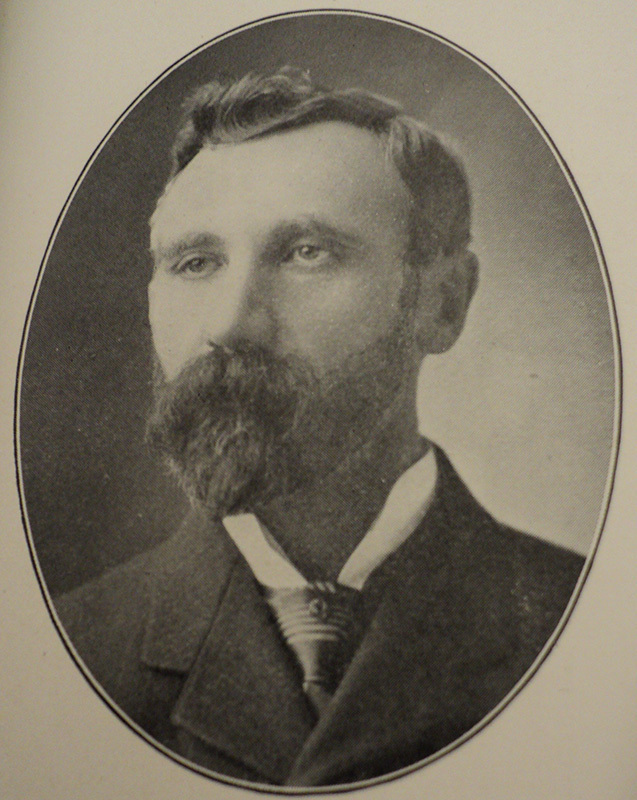 Eugene Villaume, born in St. Michel, France, in 1853, came to St. Paul in 1873, following his brother Victor. Like so many immigrants, he started out working with his hands, notably at a firm called Osgood-Blodgett, a maker of prefabricated houses. 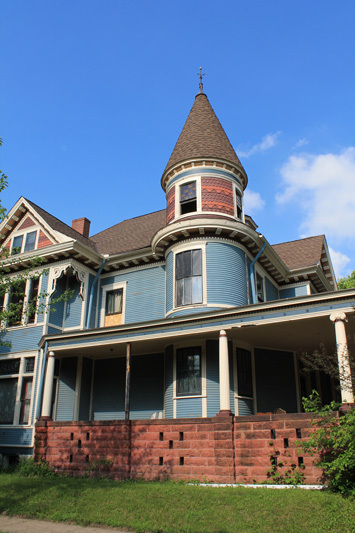 After several years he went out on his own, making wood boxes, expanding over time to lumber and millwork. 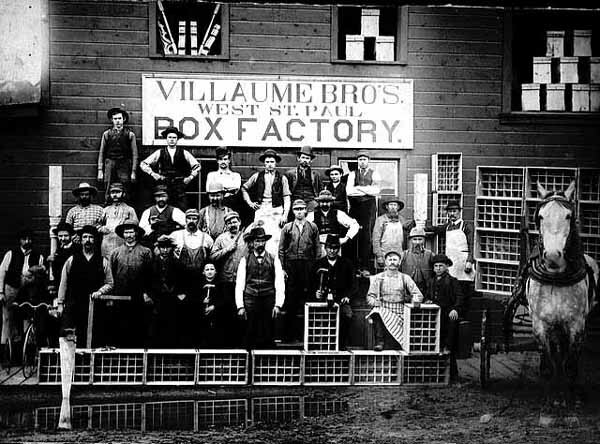 Villaume Box and Lumber became one of the big employers on the West Side. 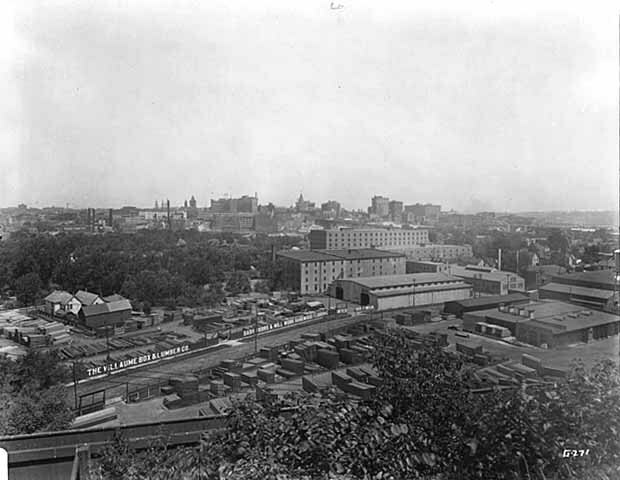 Directly or indirectly Villaume had 250 employees at his death in 1933 -- and he also owned his early employer, Osgood-Blodgett. The Villaume firm continued long after his death, still with boxes and containers, but also skilled millwork and, during World War II, making gliders for the invasion of Europe. 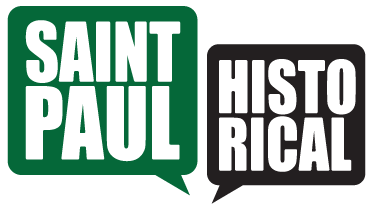 It moved out of St. Paul in 1970, but the firm thrives still today, making trusses, pallets, and heavy-duty packaging, and the site of its West Side installations is easily seen nestled along the railroad tracks near Robert Street. 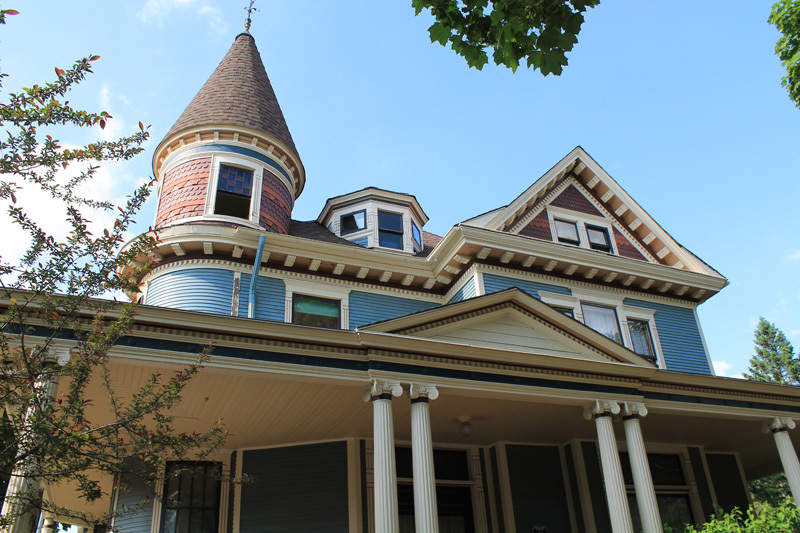 The house’s prominent round tower, steep roof, and gingerbread ornamentation mark it unmistakably as a Queen Anne. 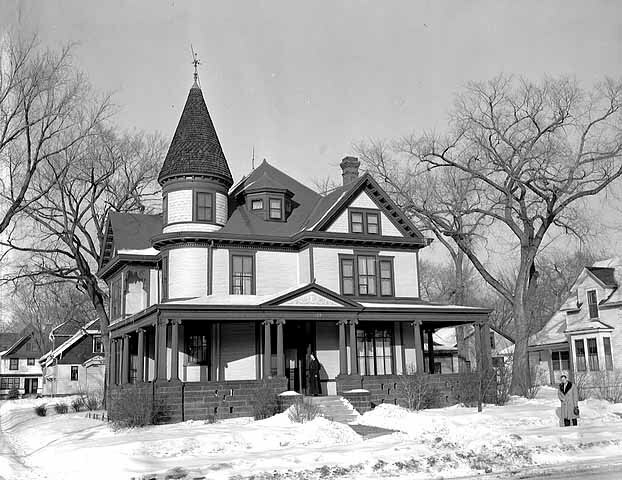 Paul Nelson, “Eugene and Christina Villaume House,” Saint Paul Historical, accessed April 18, 2019, https://saintpaulhistorical.com/items/show/137.